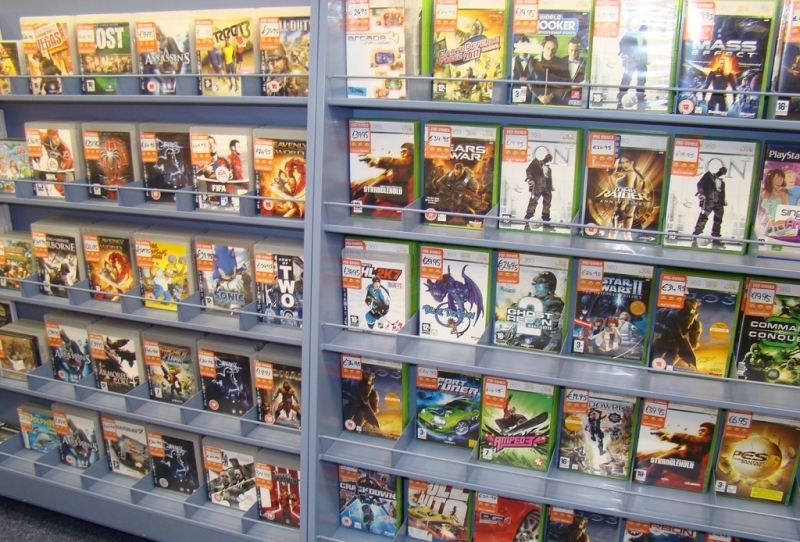 Trading used games in at GameStop will soon be a much easier (and more lucrative) process. Starting August 18, the retailer will offer a flat rate for every game you sell with the value only varying depending on whether you want store credit or cash and if you are a member of their rewards program. Up to this point, GameStop's trade-in program has been a complicated mess. For example, the store would give you more credit if you were to put the trade-in value towards a pre-order, other special promotion or had a Game Informer coupon. That's all being eliminated soon. In its place will be a much easier system to follow. Base trade-ins will be worth 20 percent more than before, we're told. You'll get that full amount in credits or if you want cash, deduct 20 percent. Members of the Power Up Rewards program will get an additional 10 percent in trade-in or have to only lose 10 percent if they want cash instead of credit. In summary, they are moving from 10 possible prices per game to just four. An internal GameStop document obtained by Kotaku notes that by eliminating the higher end price of products they buy and raising the lower end, they are able to raise the overall value the customers will receive. It'll result in associates not having to remember complicated multi-tiered trade promotions and customers having to do less math on their end. GameStop has since confirmed the overhauled trade-in program.